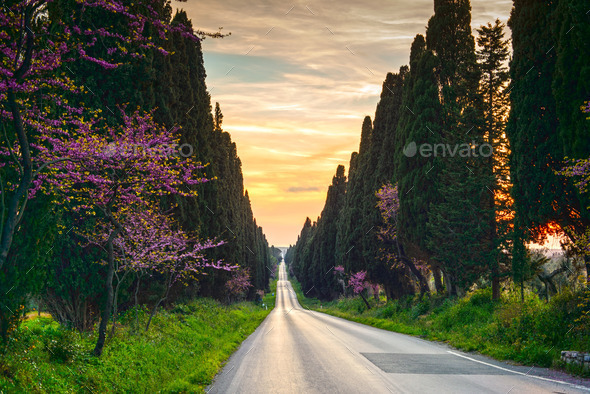 Bolgheri famous cypresses trees straight boulevard landscape. Maremma landmark, Tuscany, Italy, Europe. This boulevard is famous for Carducci poem.